There are very specific processes that a landlord must follow to evict a tenant. Failure to follow these steps can result in thousands of dollars in fines. Itâs critical that you work with an Orange County eviction attorney to understand the eviction process. -Â Â Â Â Â Â Â Â Â Non-Payment of Rent. A tenantâs failure to pay rent may be reason for eviction. The landlord typically must give the tenant a three-day notice to either pay rent or vacate the property. -Â Â Â Â Â Â Â Â Â Violation of Terms of Lease. If the tenant is violating any term of the lease besides paying rent, such as having a pet, the landlord usually must give the tenant notice of three days to fix the problem or to vacate the property. -Â Â Â Â Â Â Â Â Â Nuisance. A tenant who creates a legal nuisance like conducting criminal activity on the property generally is not given an opportunity to fix the problem. Instead, the landlord may just give the tenant notice of three days to vacate. -Â Â Â Â Â Â Â Â Â Expiring Lease. In the case of an expiring lease, the landlord has to give either 30 daysâ or 60 daysâ notice for the tenant to move out depending upon how long the tenant has rented the property. A landlord can seek an eviction lawsuit (also known as an unlawful detainer) against a tenant who fails to comply with the notice. Landlords have to meet service requirements for the lawsuit and you should work with an Orange County eviction attorney to ensure these legal details are met. 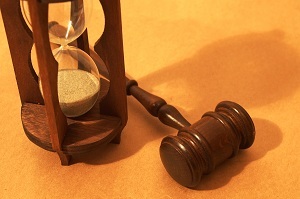 A tenant typically has five days to respond to the lawsuit and a trial usually happens very quickly. Landlords should not physically remove the tenant, shut off the utilities, or lock the tenant out, even if they win the lawsuit. The sheriffâs department will give the tenant five daysâ notice to leave, and a sheriff’s officer will physically remove the tenant, if necessary. Only after the proper removal can you change the locks. There are strict rules to follow to evict a tenant. Contact an Orange County eviction attorney at Schiff & Shelton at (949) 417-2211 if you have any questions.